Itch to Stitch is an amazing indie designer. Kennis Wong, the genius behind the brand, is always spot in with her style and designs. 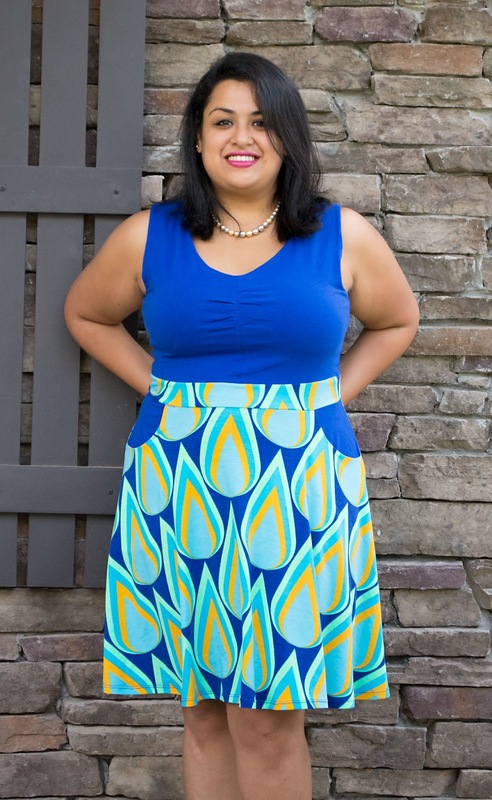 She is the creator of the awesome Idyllwild top, the Lindy Petal Skirt (free) and tons more wardrobe staple pieces. The newly released Davina Dress, which is still on sale for $9.60, is such a polished look. Far from the haphazard, bound-neckline dresses that scream china cheapies, this fully-lined bodice teaches a seamstress the value of taking her time. Understitching, a graceful V neckline and a flattering half-circle skirt make for such a stunning dress that you’ll want to make a special occasion piece from it, and then you’ll convince yourself that a dozen more won’t hurt. I made mine in a size 14, and as you can see, it fit beautifully. It took me just one session of three hours to follow the detailed instructions. 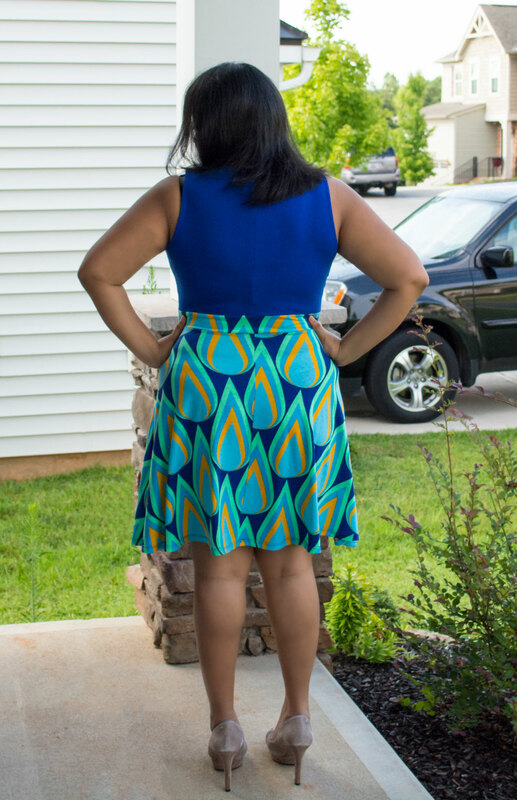 I used some fabulous Lularoe fabric I received in a mystery box, and was so stunned to see the peacock feather look when I finished the skirt. Isn’t the Davina dress divine?